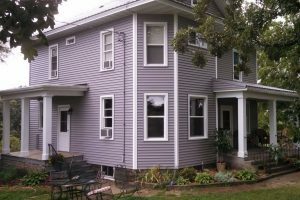 Siding - Affordable Remodelers, Inc.
Breathe new life into the exterior of your home while increasing curb appeal with premium vinyl replacement from Affordable Remodelers. Rejuvenate the skin of your home with siding replacement. Call 219-531-1095 today for a FREE estimate. Do your gutters leak? Are they clogged after years of neglect? Get them replaced by knowledgeable experts at Affordable Remodelers. Call 219-531-1095 for a FREE estimate. Besides replacing your siding and gutters, Affordable Remodelers can also install soffit and fascia. These are fancy words for architectural features that help with the look and ventilation of your home. Call 219-531-1095 for a FREE estimate. Affordable Remodelers is your gutter and siding expert. We use only the best materials and most products come with a lifetime guarantee. We are fully licensed, insured, and bonded and our project managers have more than 50 years of combined experience. Install up to 1600 square feet of new premium quality Exterior Portfolio vinyl siding in your choice of many standard colors and profiles. $79/Month with $0 Down Fan-fold insulation or house wrap is included as needed.